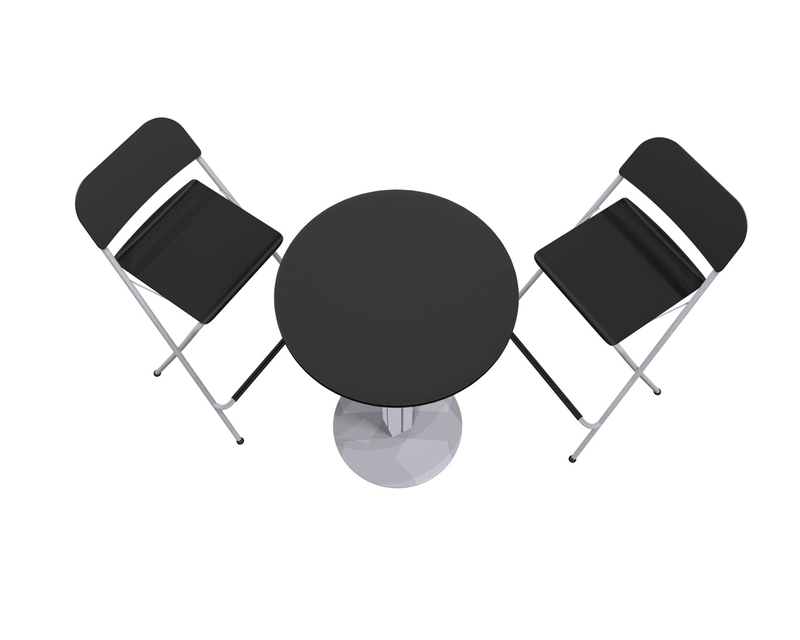 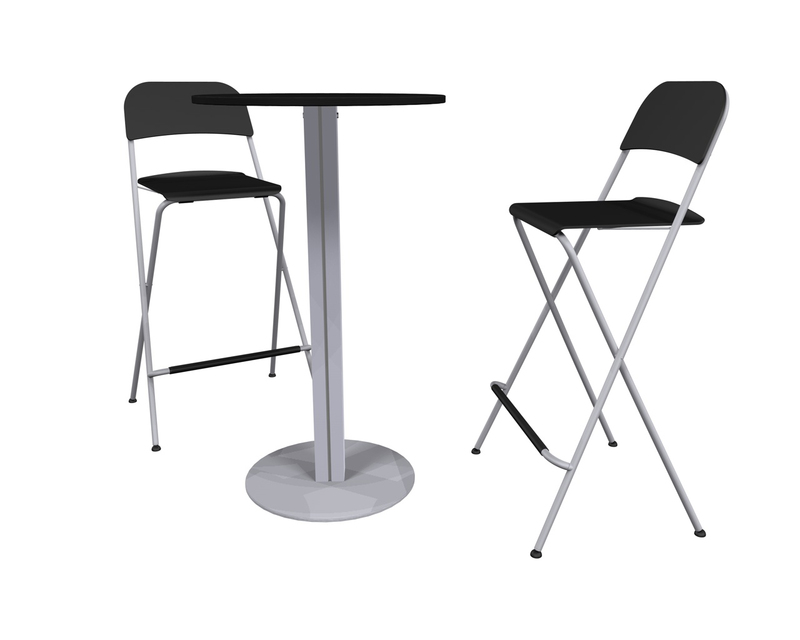 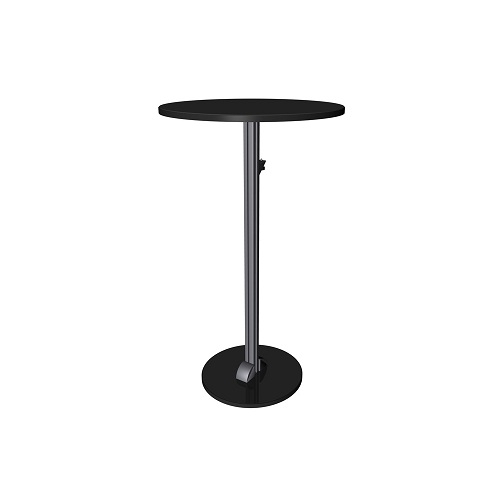 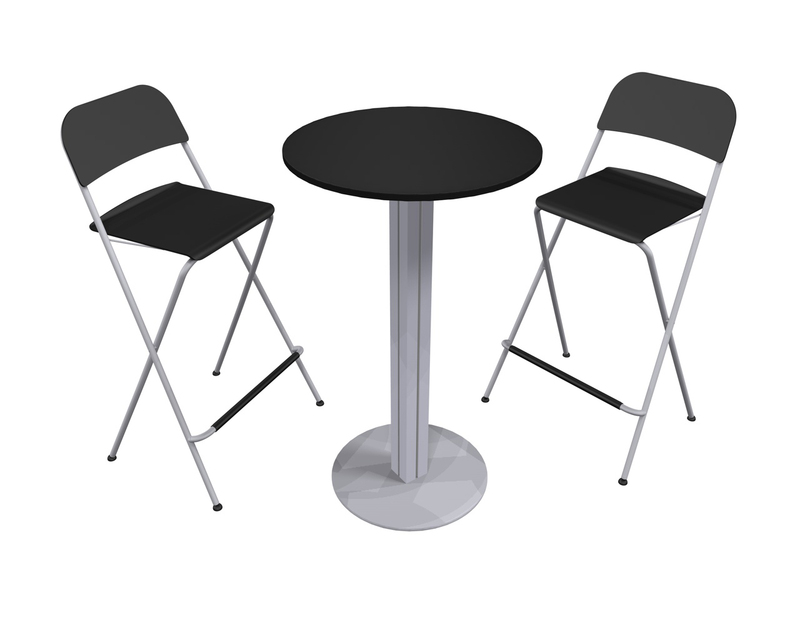 Sturdy and modern cafe table and chairs offer different laminate finishes and the ability to collapse down and fit into one optional add-on case. 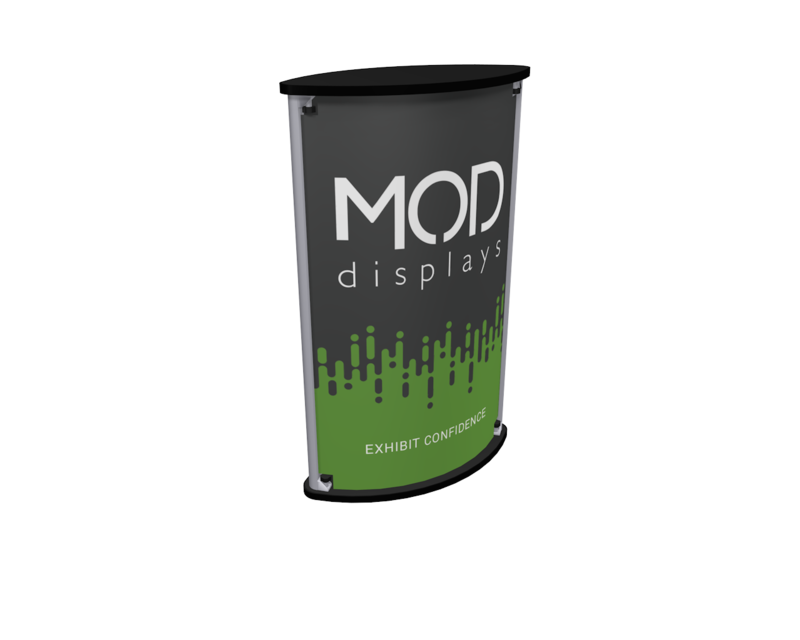 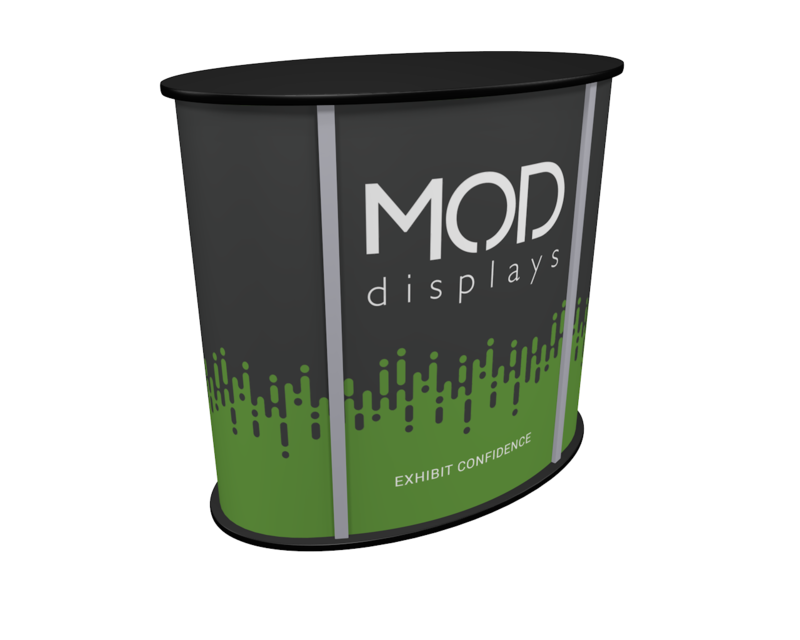 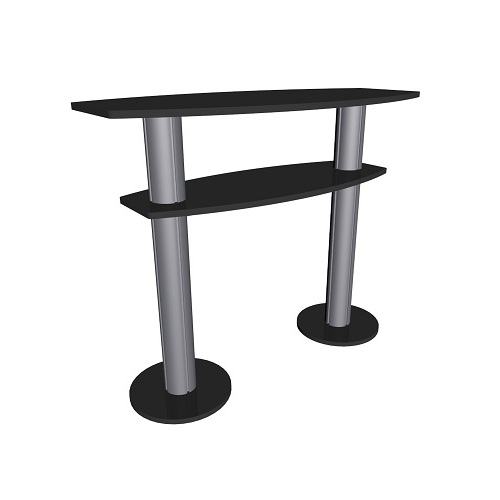 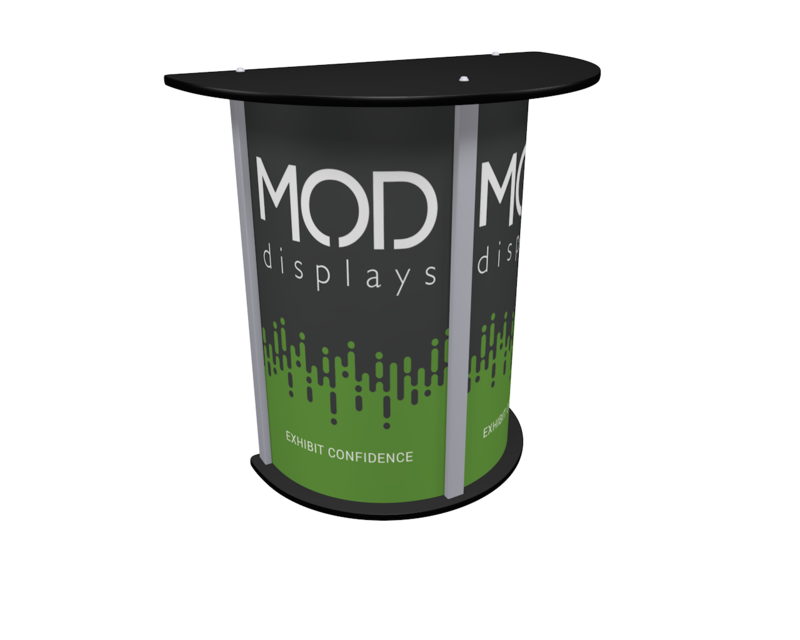 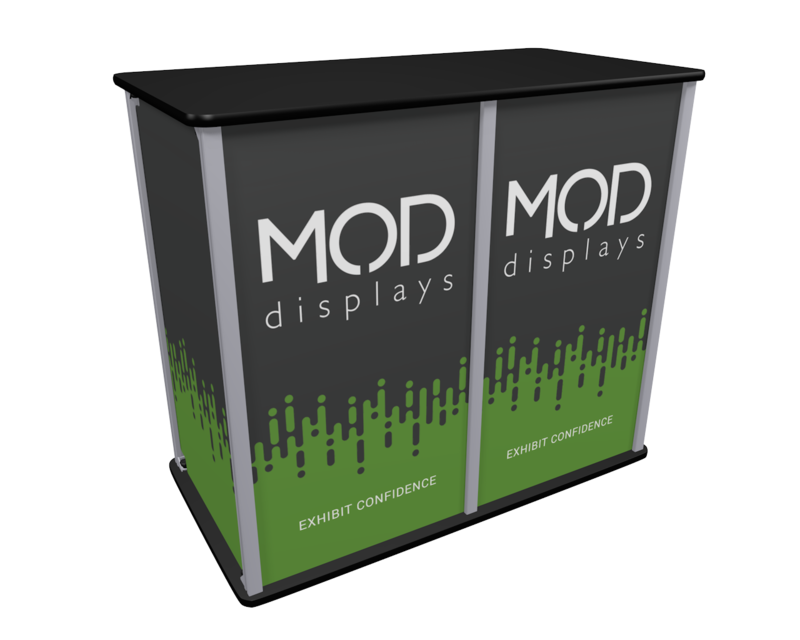 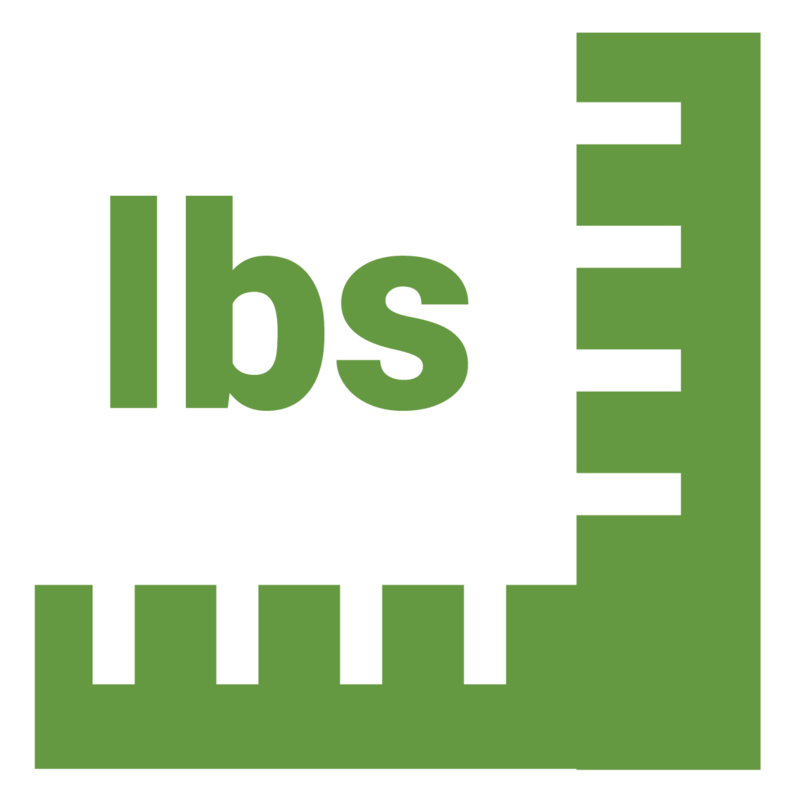 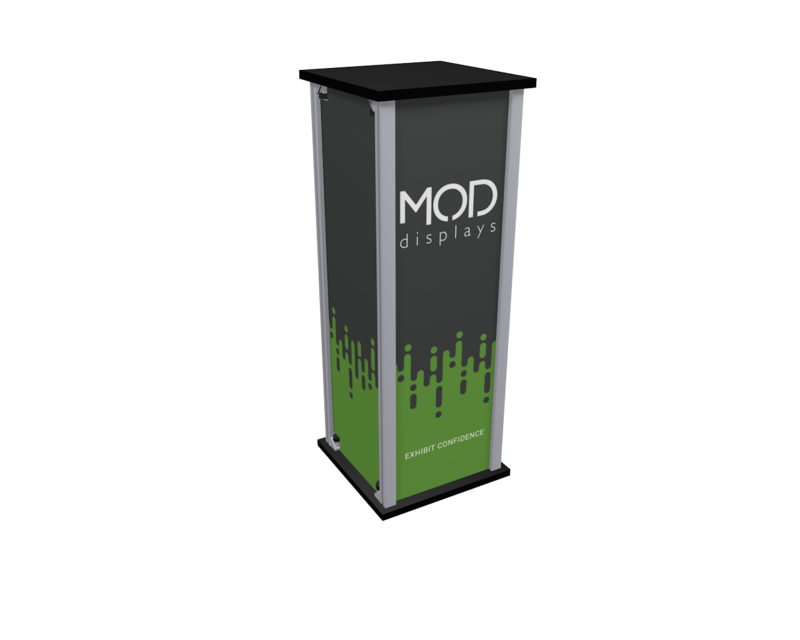 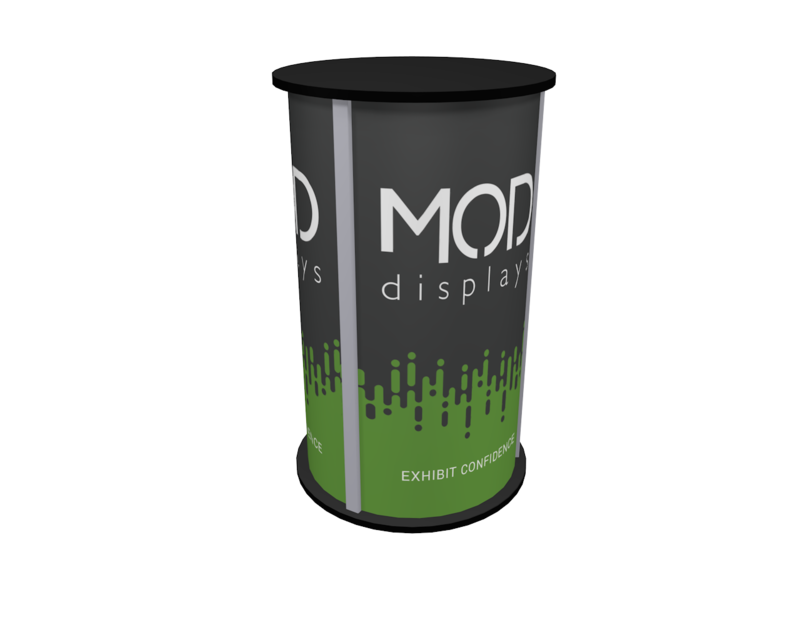 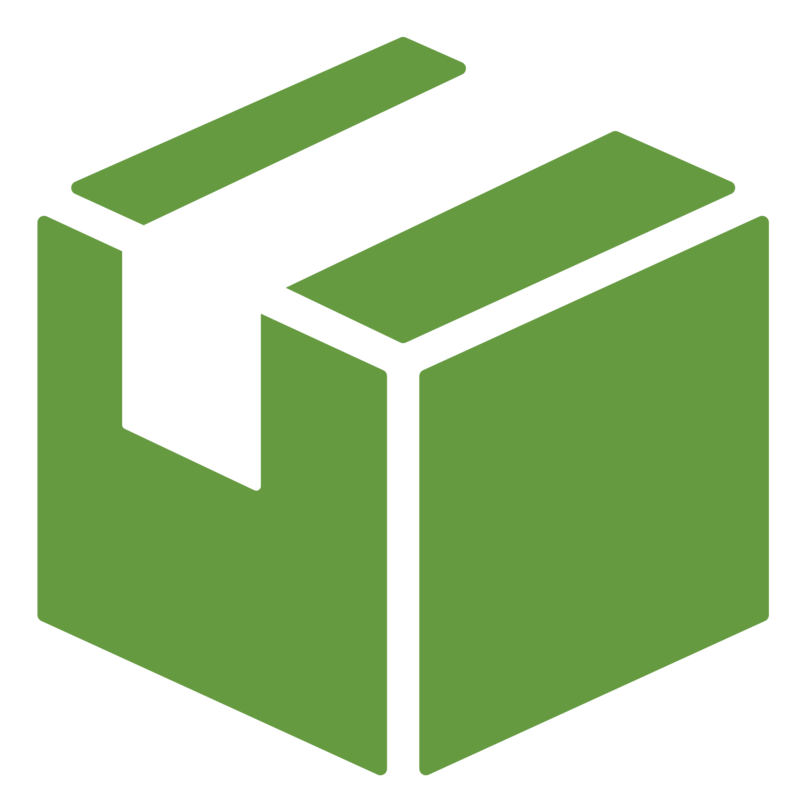 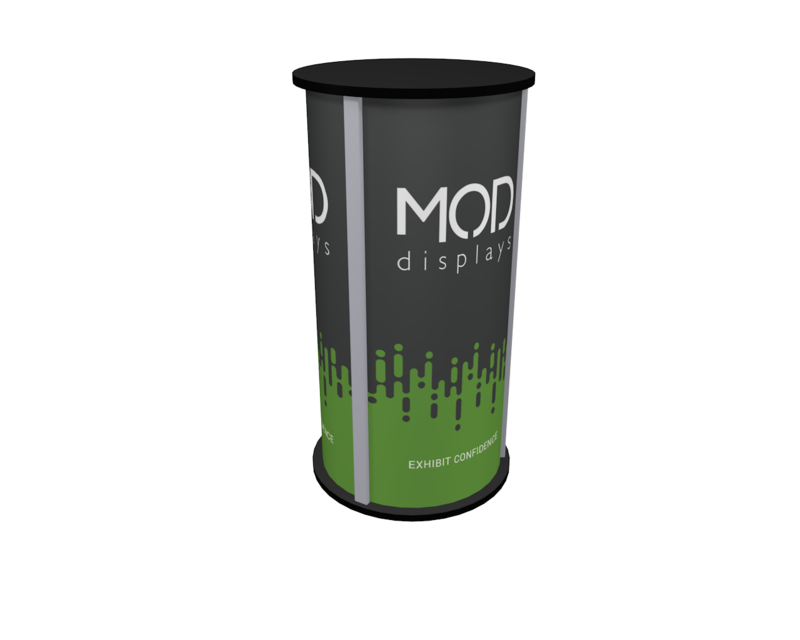 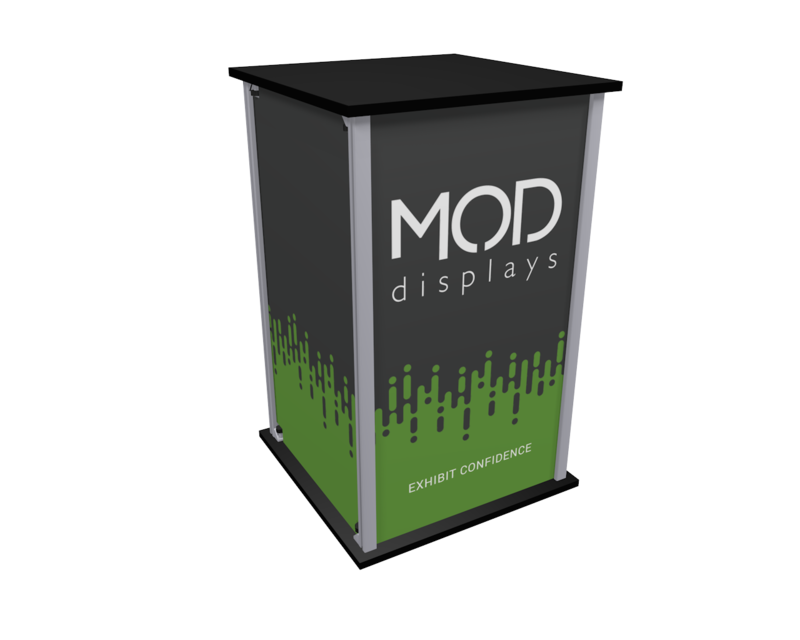 The vertical support of the counter is a durable 4.25" aluminum extrusion, and the countertop and base, with plywood core, come in your choice of laminates. 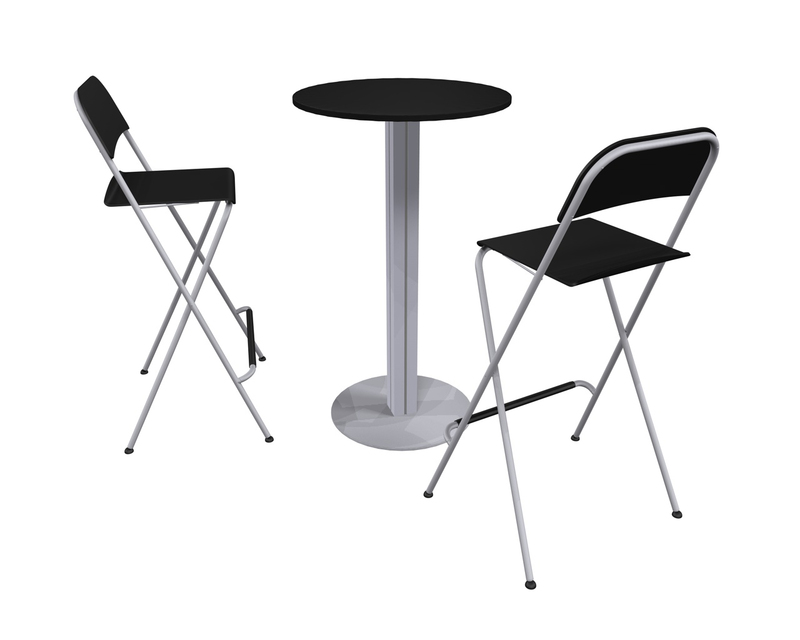 The chairs are counter height and foldable.